Petit Lapin is often hailed as one of the best spots in Montreal for donuts and cupcakes. To show their appreciation, Petit Lapin is proud to launch its new creation: the Deluxe Cupcake, merging cupcake and donut in a single bite. A delicacy without the top ten allergens, gluten and worries! Donut and cupcake lovers can now enjoy the best of both worlds with the new Deluxe Chocolate, Deluxe Caramel and Deluxe Sundae. 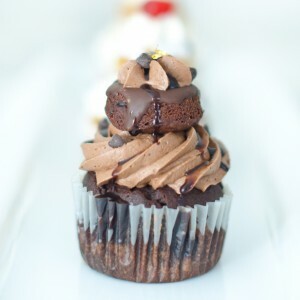 A flurry of pleasure, the Deluxe Chocolate will make you discover a combination of a chocolate cupcake and a double-chocolate donut, paired with a creamy chocolate frosting and topped with tasty chocolate chips. Absolutely divine! A real treat for your taste buds, the Deluxe Caramel is a delectable and surprising delight. 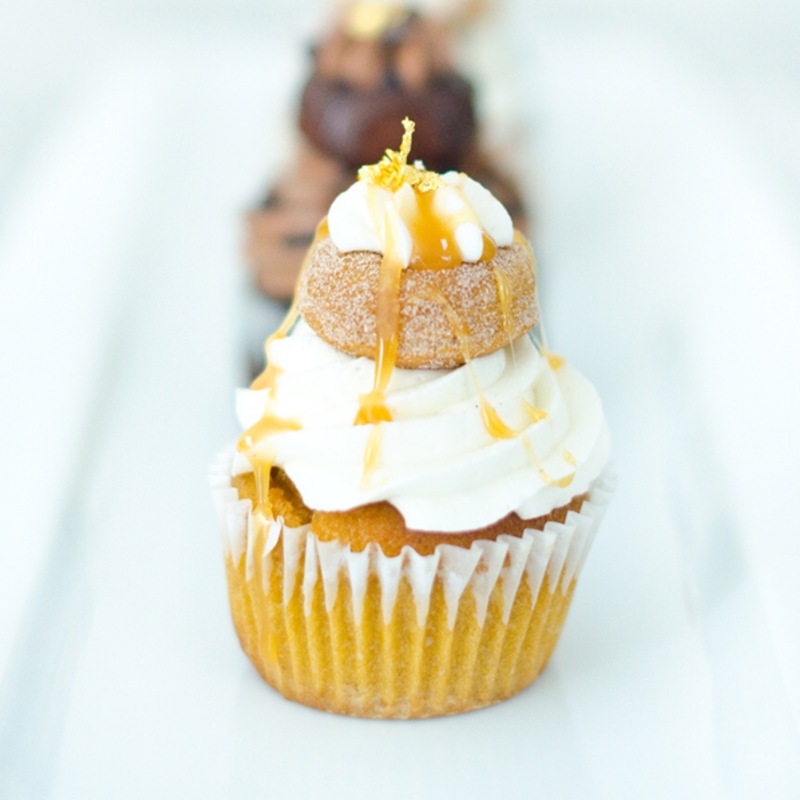 Let it pick you up with its pairing of a vanilla cupcake filled with a caramel fondant, and a cinnamon-sugar donut, topped with a creamy vanilla frosting and a caramel drizzle. Yummy! The perfect match between a vanilla cupcake and a vanilla donut, paired with a creamy vanilla frosting, with a chocolate drizzle and a cherry on top, the Deluxe Sundae will make many sweet-toothed foodies happy. A must-try classic with a twist! 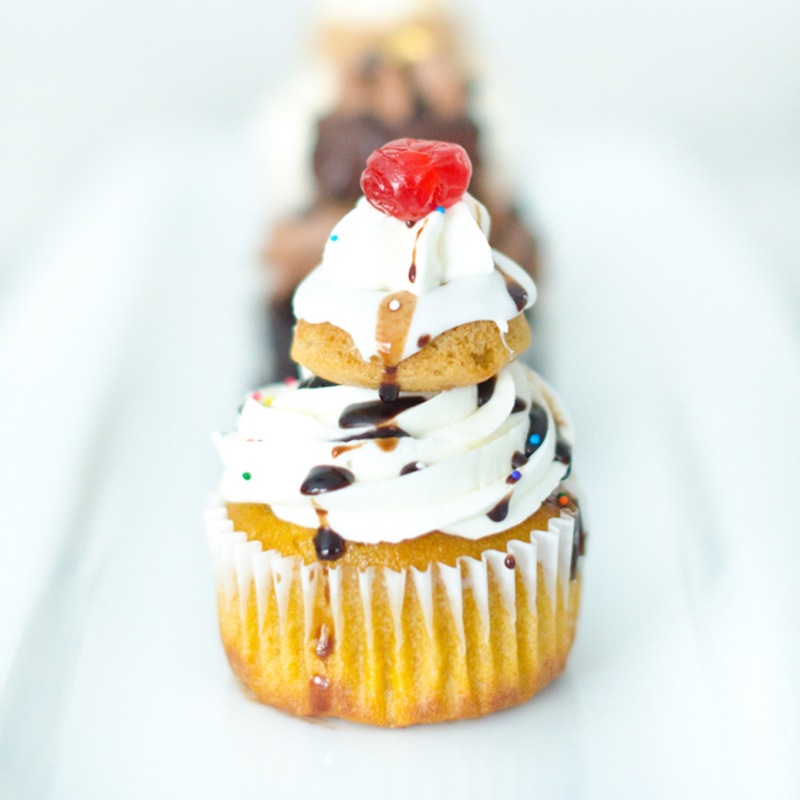 The new Deluxe Cupcake collection is now available at the bakery, priced at $5.50 each.